By Melissa Lennig on March 12, 2017 1 Comment. This content contains affiliate links. As an Amazon Associate I earn from qualifying purchases. 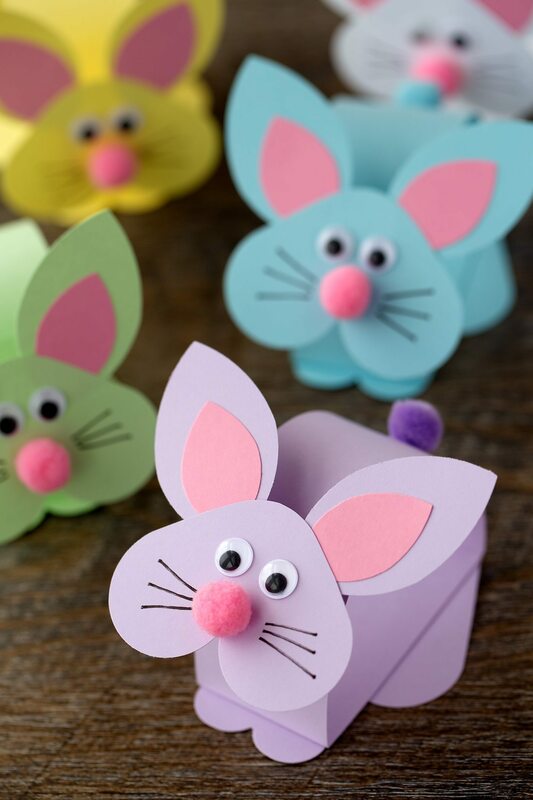 Just in time for Easter, kids can learn how to make an easy paper bunny craft at school or home. 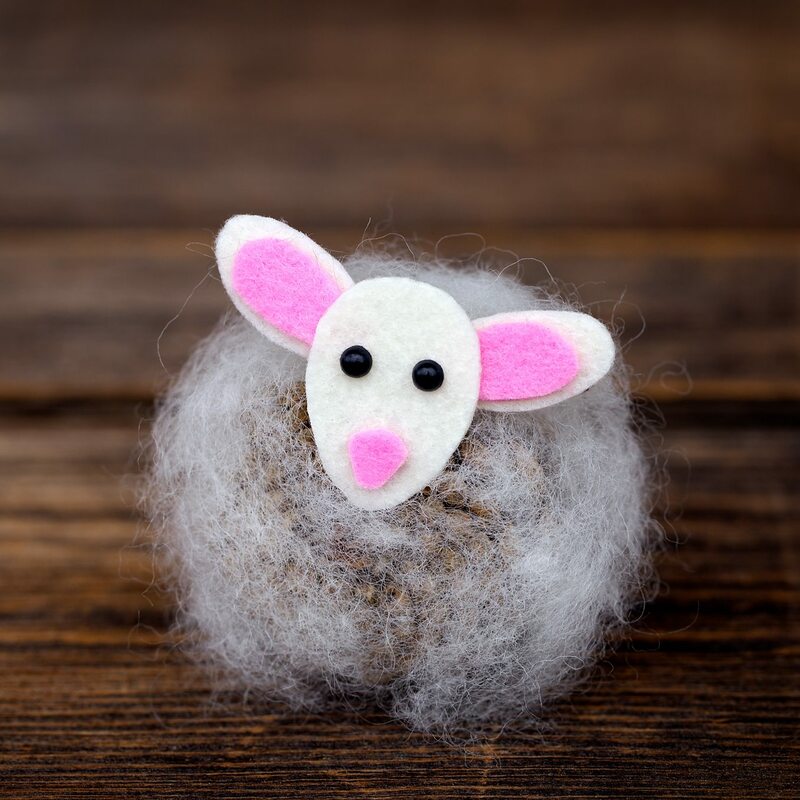 This fun DIY bunny craft boasts a bobbling head and soft pom pom tail. It’s the perfect spring Easter project for both kids and adults. 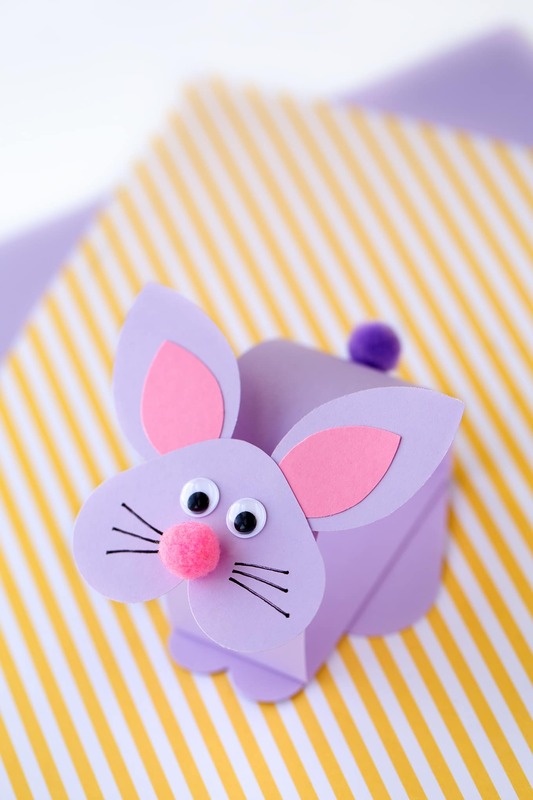 My kids look forward to making this bobble head bunny craft every Easter! We used a variety of paper punches to make ours, but of course, that isn’t absolutely necessary. When I make this craft with a large group of kids, I find it best to use small groups with assembly line-style stations. After going through the stations, kids assemble their bunnies back at their workspace. Adults, prep a large selection of colored paper strips to choose from! Kids simply choose their color then move onto Station 2. At this station, kids collect their wiggly eyes, pom poms, and cardstock. Kids use the large heart punch to create 2 large hearts. Kids use the small heart punch to create 1 small heart. Kids use the petal punch 4 times. Twice on pink cardstock and twice on their color of choice. Watch the video below to be guided through each step of this craft, then check out the supply list and written directions shared below. You can view more easy kids craft tutorials on our Facebook Page, Teachers Pay Teachers Page, or right here on our website. 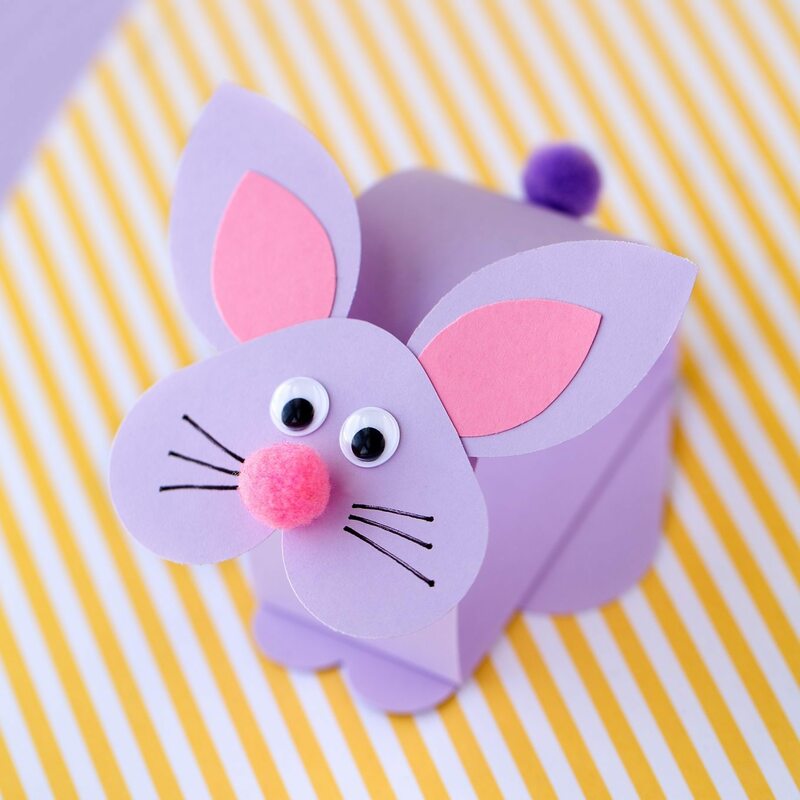 Making a paper bunny craft is easy and fun when you use paper punches! 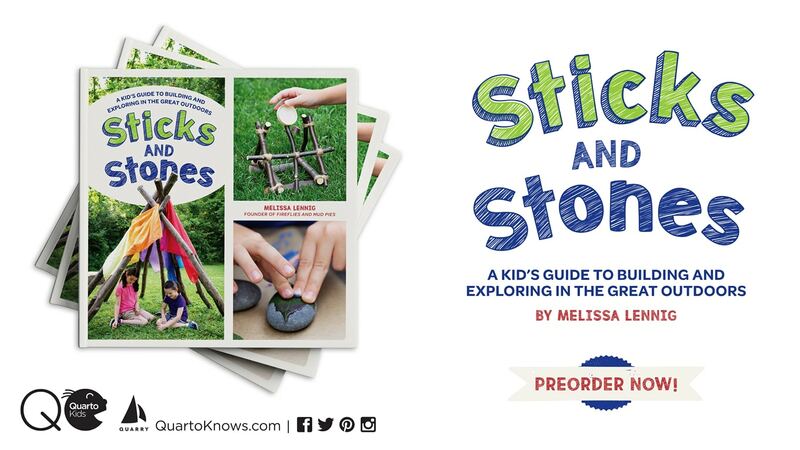 Our simple directions and step-by-step tutorial is simple for both kids and adults to follow along with. 1. After gathering supplies, use the rotary cutter to make a 1 ½” x 11″ paper strip. Fold the ends of the paper strip towards the middle as pictured below. Glue the 2 flaps together to create a 3D half circle shape. 2. Next, punch out 2 large hearts and 1 small heart. 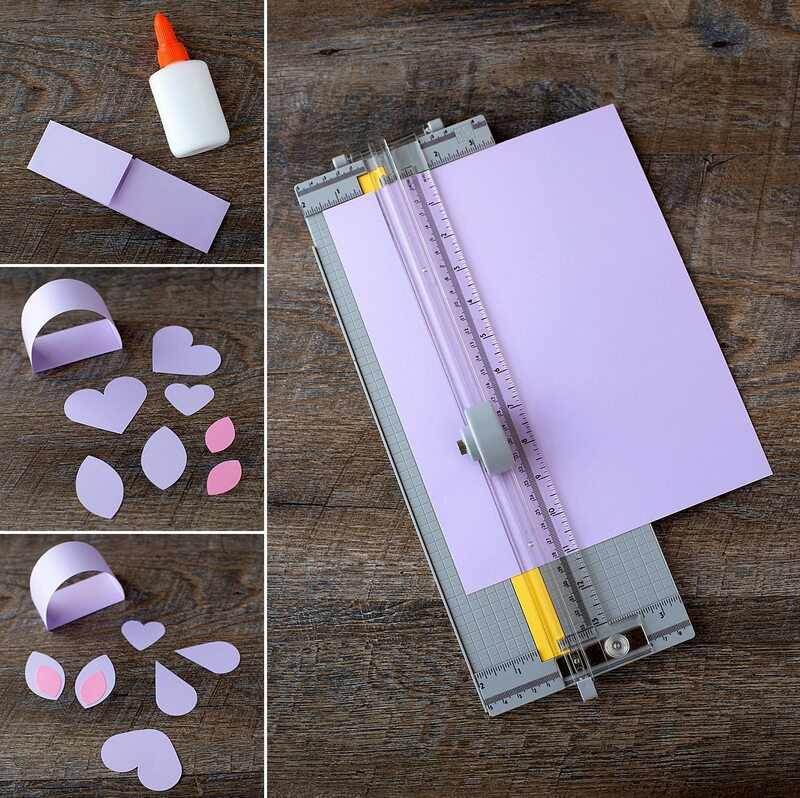 Use the petals paper punch to punch petals out of your main colored paper and pink (for the inner part of your bunny’s ears.) 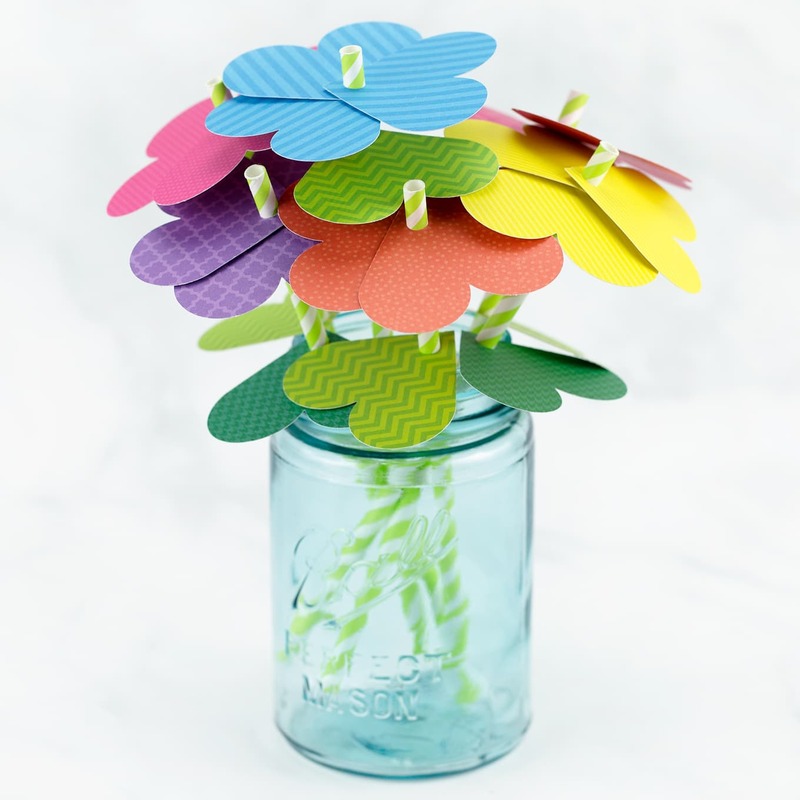 The petals paper punch has 3 different sizes, so you will have to punch each paper twice. Keep the large petals of your main colored paper, and the small petals of the pink paper. 1. Glue the small pink petals onto the large petals to make ears for your bunny, cut 1 of your large hearts in half (you will end up with 2 tear dropped shapes), then use scissors to round the point of your other heart. 2. To make the bunny’s feet, glue the teardrop paper shapes and the small heart to the flat bottom of your bunny’s body as pictured below. Cut a short paper strip and fold it like an accordion 4 times. Glue it to the front of the bunny’s body. 3. Next, glue the bunny’s ears to the back of the rounded heart. 1. 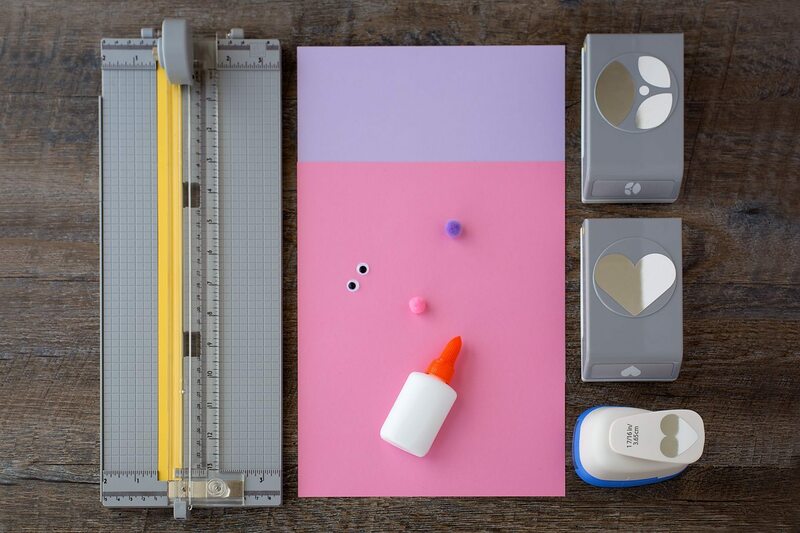 Glue 2 wiggly eyes and a pom pom nose to the bunny’s face, then use a black felt tip pen to make whiskers. 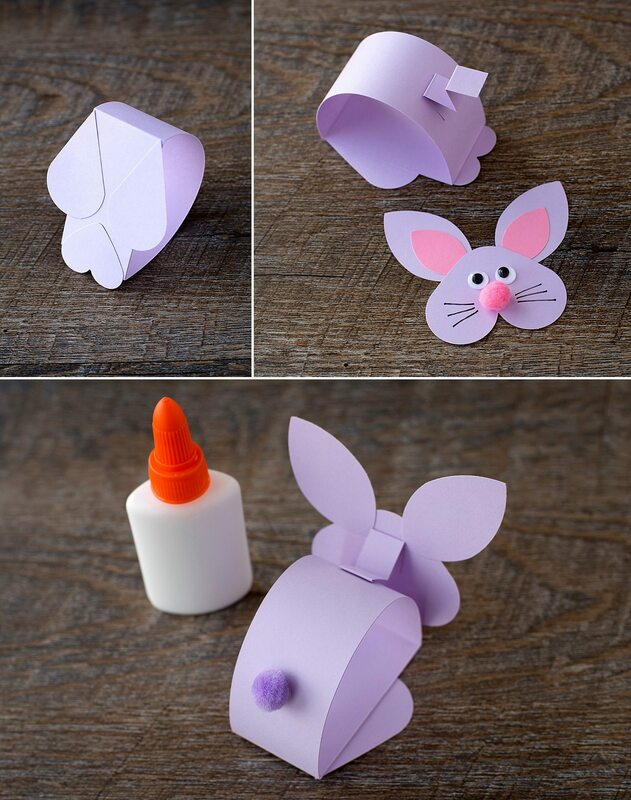 Glue the bunny’s head to the accordion fold paper strip. 2. Last, glue a pom pom to the back of the bunny for the tail. Repeat with many colors! These little bunnies are so much fun. If you tap their heads, they bobble up and down. Kids love it! 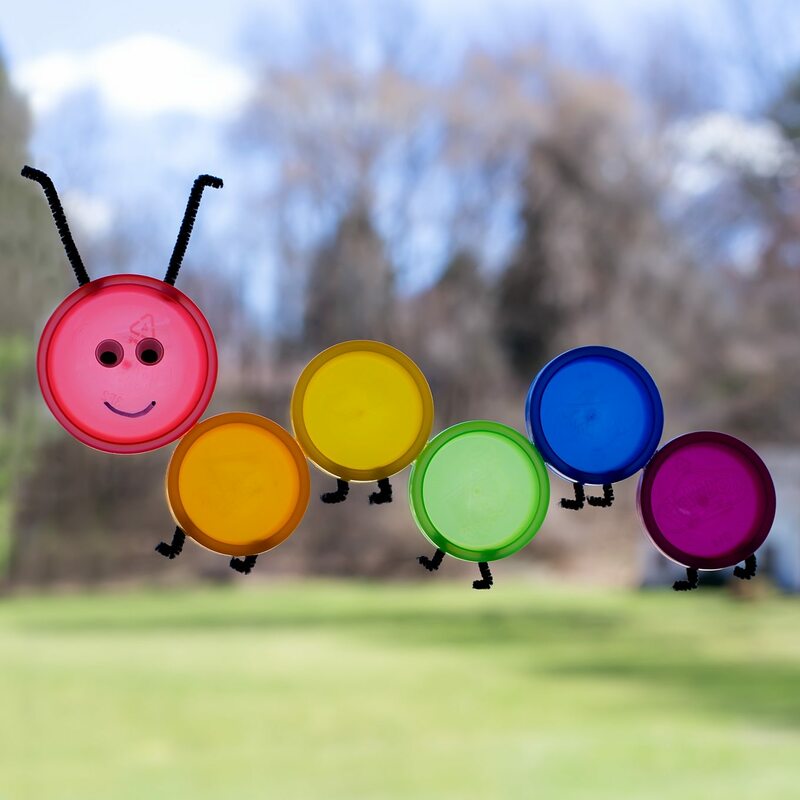 Click the images below to view more spring crafts for kids.